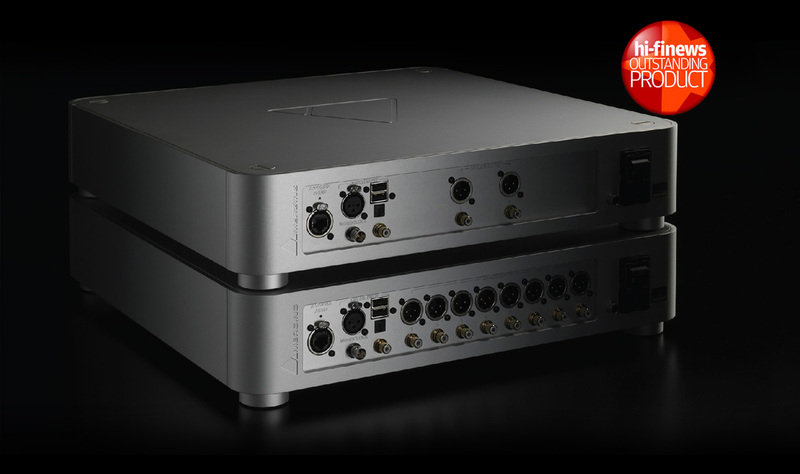 With over 25 years experience, based in Switzerland, Merging Technologies is the world’s foremost manufacturer of high resolution digital audio recording systems. Their list of customers reads like a who’s who in the recording industry and recordings made with their systems regularly receive the prestigious Grammy® Award, with no less than 27 nominations in 2017! The Merging NADAC player brings music as it was recorded in the studio into your home, with the best music player available combined with the best-sounding DAC with Roon Core software built in. You can access your entire music library from a tablet with the Merging NADAC connected directly to your amplifier, active speakers, or via headphones for the purest sound ever. The stunning Merging NADAC Player challenges the convention of having a computer from which to play your music. 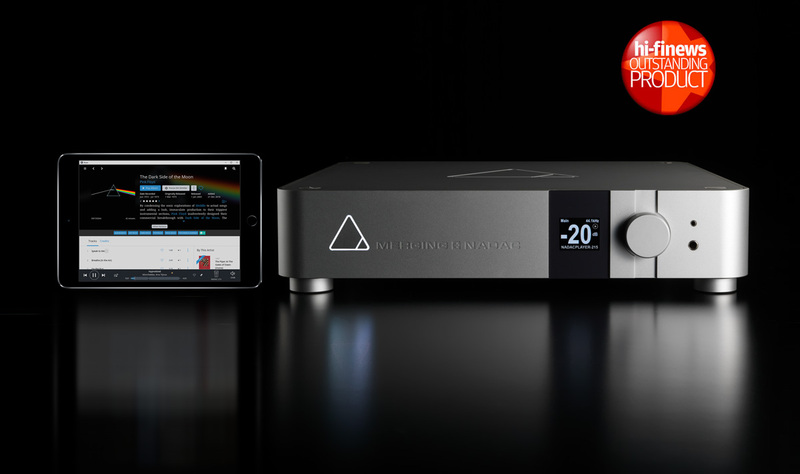 The Merging NADAC player is an audiophile music server which combines the best music player available together with the best sounding DAC. You can connect it directly to your amplifier, active speakers or headphones to listen to the purest sound ever. Roon Core is built into the Merging NADAC player, so you can access all your music in up to DSD quality from your smartphone or tablet as well as discovering all you need to know about the music, the musician, the composer, concert dates, reviews and more. You can control your listening level and map your music to different rooms, check the dynamic range of your track, read liner notes, build and organise your own playlist or even equalise your room directly from the Roon application. As well as offering a genuinely audiophile turnkey solution, you will be able to enjoy regular updates, new features and services offered by new software applications. An MQA update allowing a full MQA unfold will be available in Spring 2018. The NADAC player comes in two flavours, stereo and multichannel so you can listen to your stereo or surround music files. The multichannel version can now also be directly connected to four stereo zones. Roon Core now supports multichannel playback. The NADAC player is ideal for use with the Kii Audio THREE active speakers with the volume for each zone being controlled via smartphone or tablet. Each NADAC player supplied by Ultimate Stream includes a three year return to manufacturer VIP warranty. Golden ears have told us that Merging components sound incredible, but they wanted to see if they could improve even more. Removing AC power from the chassis and providing DC from an astonishing hybrid power plant using the highest quality components has achieved the seemingly impossible. If you care about the ultimate fidelity, this is the magic ingredient you must have. Critical acclaim suggests that MERGING+PLAYER and MERGING+NADAC sounds amazing so that would indicate that Merging’s designers selected a fine power supply. There is a body of opinion that maintains that removing all AC components from the chassis should improve the performance even more. MERGING+POWER is the answer.